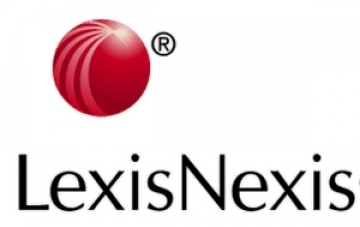 Lexis Nexis is part of Reed Elsevier Plc and FTSE 100 Company. Lexis Nexis has a 200 year history and provides authoritative business information through Butterworths and Tolley to the Legal and Tax profession. They operate in over 100 countries, across 6 continents and employ 15,000 people. LexisNexis was looking for a Sales Director to join the UK organisation and required a thorough process, working to challenging timescales. Reporting to the senior leadership team the Sales Director would take responsibility for a division within the business that had high potential for growth. It was imperative that the successful candidate was high performing, could lead teams and manage stakeholder groups to achieve effective outcomes internally as well as externally. It would be responsible for a strategically important part of the business and manage a relatively large team of people. It was unlikely that this individual would come from a competitor but it was important they had come from a business services background and could point to considerable (sustained) sales and profit growth, through the leadership a large sales team (internal and external). They would have driven customer segmentation and the implementation of technology to drive efficiencies as well as having the behavioural capability to influence change outside of their immediate sphere of influence. Given the importance of the role and the desire to conclude it efficiently Newman Stewart proposed a combined approach, utilising executive search and advertised selection (online) to determine an appropriate long list to interview. We agreed a target list of companies to identify appropriate candidates within, as well as agreeing the appropriate media to place our advertising. We also provided a list of candidates from within our network who we thought were appropriate for consideration. Newman Stewart concluded the assignment successfully with the placement of the Sales Director within agreed timescales, and has continued to develop the relationship, fulfilling several key roles within the business to date.